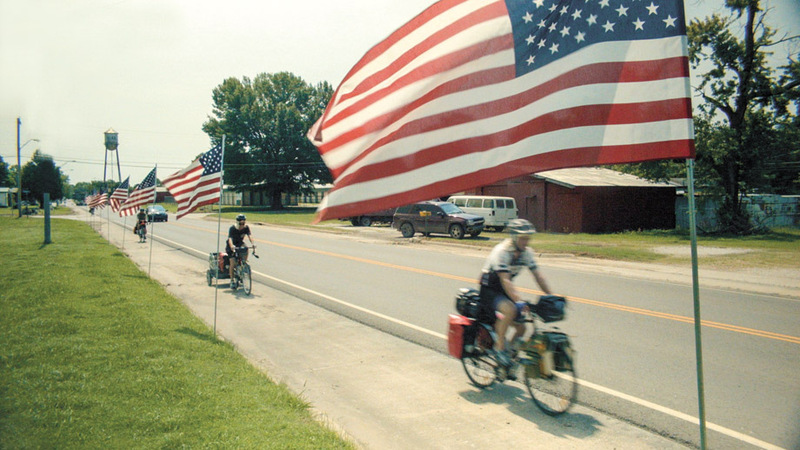 Cycling across the United States is an adventure many have undertaken, particularly since the mapping and signing of a transcontinental route in 1976 to mark the national's Bicentennial. 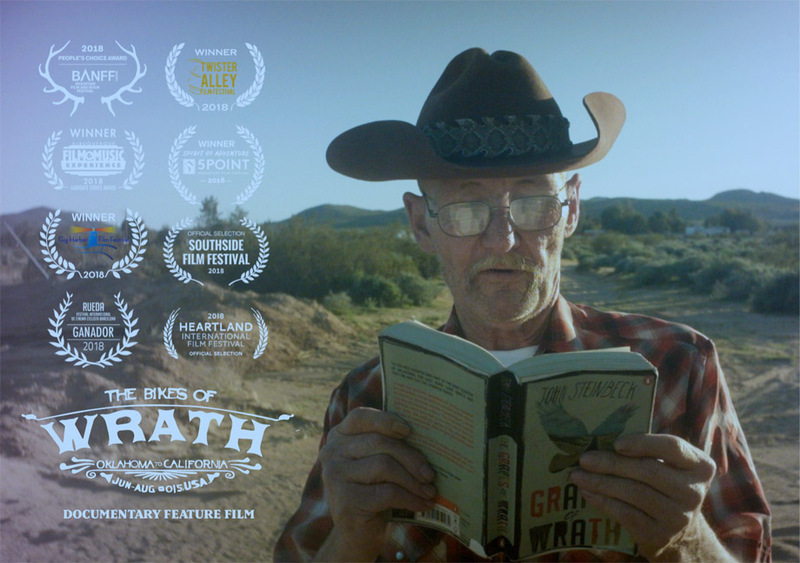 In the new documentary “The Bikes of Wrath” a group of five Australians follow a less celebrated path: that of the fictional Joad Family who followed Route 66 to California, escaping the Dust Bowl in their Oklahoma home. The cyclists get plenty of memories over their 32 days but raise plenty of questions about America today. The instigator of this trip is Charlie, 24 years old, and motivated by his enthusiasm for John Steinbeck's classic 1939 novel “The Grapes of Wrath”. It is a dramatic work as it tells the story of the dozen members of the Joad Family, who set out in an old Hudson sedan-turned-truck from Sallisaw, Oklahoma, where the Dust Bowl has destroyed their farms and the bank has repossessed what remained, on a 2600 km/1500 mile journey along Route 66 to Bakersfield, California, in the hope of finding work and a new life. The book is perhaps one of the most read and discussed of 20th Century American literature and not only won the Pulitzer Prize but was specifically cited as a reason for Steinbeck's 1962 Nobel Prize for Literature. The five Australian friends range in age from 24 to 35 and are a diverse lot: two were raised on farms, one is a fireman, another a Moroccan-Australian, and a documentary filmmaker. 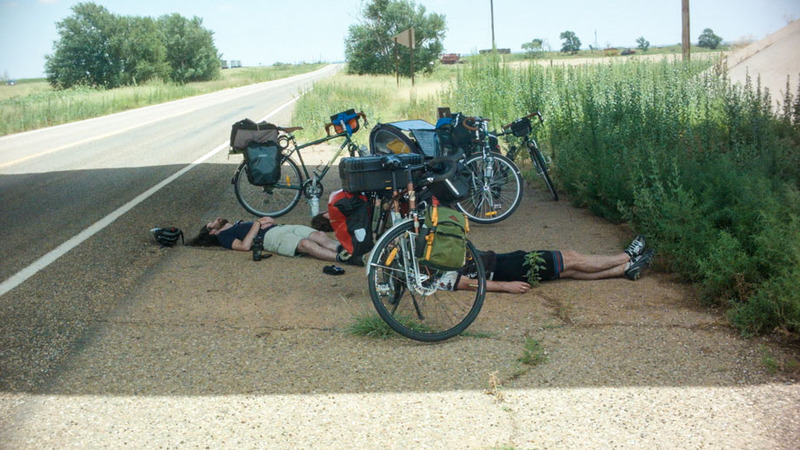 They decide to make the journey by bicycle as a way to get closer to what the Joads would have experienced and they would make a documentary about the trip. The Joads set out with $18 in cash so the Australians decided that they will take the equivalent in today's currency ($400) to see them through their three weeks on the road. The plan is that they will raise additional funds by busking, so it will be necessary to bring some guitars and even a drumset (!). It is apparent that the Australians have no idea of what they are doing. For a trip of this nature, you want to have some cycling experience but one of them has never ridden more than 20 kms, while another one did a 45 km ride—once. 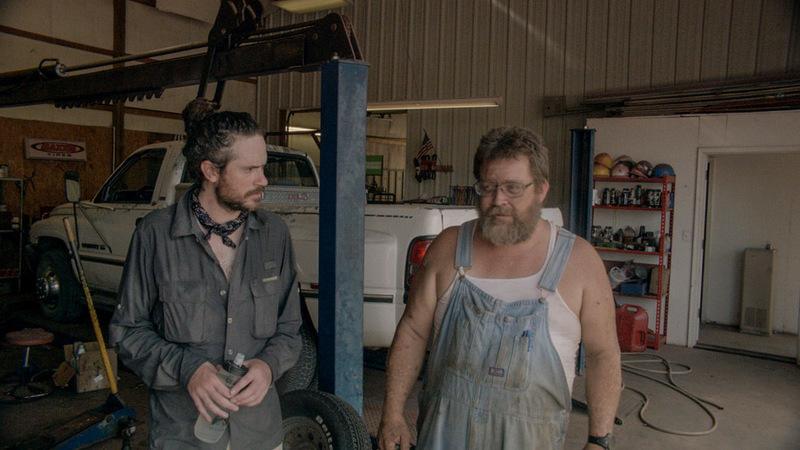 On arriving in Oklahoma and unpacking their bikes, they get some musical instruments and prepare to leave the town of Sallisaw, a place that looks no more prosperous than it did in 1939. Even with a trailer, it is obvious that they have far too much gear to transport so tough decisions need to be made. The first day is not very promising: there is a crash two miles into the ride and their total distance on Day 1 is only 9 miles. Things improve, however. The first night they are given a camping spot and a hamburger cookout by a local, a friendly man who nonetheless makes them a bit nervous. They are given another trailer by a passing motorist who sees them and meet people who are enthusiastic about their trip. They are given money and food and places to sleep along the way. The people with whom they interact are plain folks in small towns. None appear to be wealthy but are keen to help. 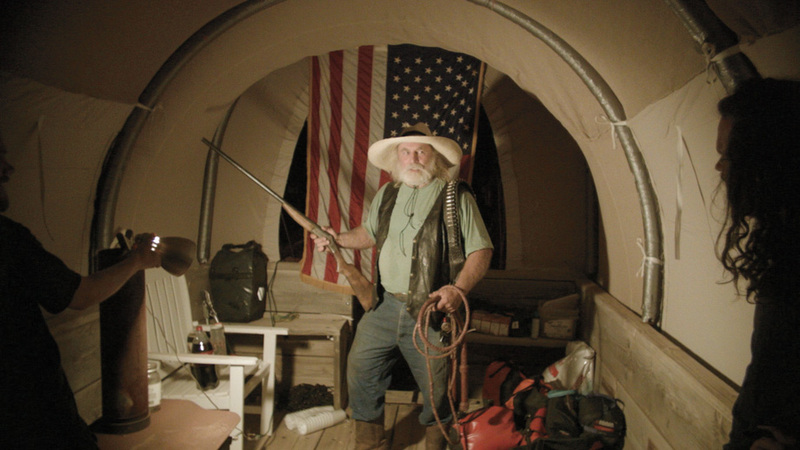 They often have interesting stories of their own about the migration of the Okies, a dark chapter in American history. Many of them are persuaded to read a passage from “The Grapes of Wrath” for the camera and do it in an impressively sincere and heartfelt fashion. We learn a good deal about the Dust Bowl and how, between 1930 and 1940, more than 3.5 million people moved West. A decade of drought left its mark on the region and as the group crosses Oklahoma, Texas, New Mexico, and Arizona before reaching California we see townscapes that are as marginal as many of the people. Needless to say, the plans worked out in Australia have to be amended when facing reality. The busking idea and the trailers are unceremoniously dumped, although we do get to hear the group's rendition of Bruce Springsteen's “I'm on Fire” at a gas station. (Footnote: Springsteen released his own “The Grapes of Wrath” - inspired work with 1995's “The Ghost of Tom Joad” acoustic album). In addition to seeing their loaded bikes constantly fall over—what kind of cyclists are these, really? 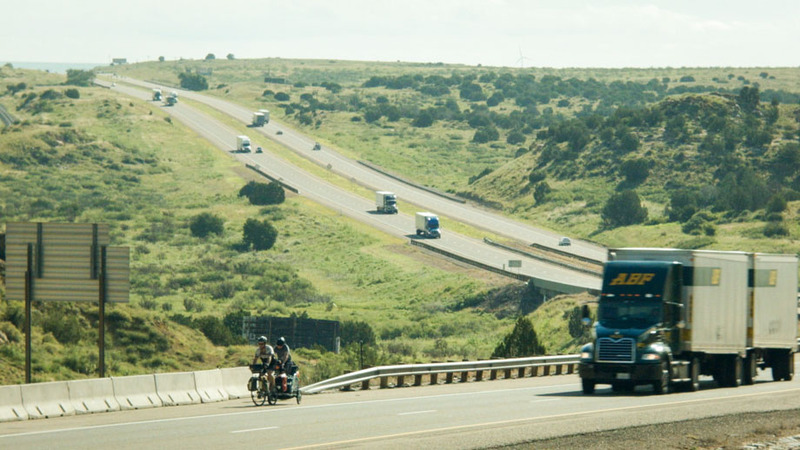 -- the group has to deal with journey-threatening injuries and some pretty nasty riding along four lane divided highways with heavy truck traffic. In the end, the group reaches the Weedpatch Camp, where the Joads had ended up at the end of their harrowing journey. Steinbeck's book is tragic in so many ways, not only recounting the sad fate of many in the Joad extended family, but also the harsh treatment the Okies received as they headed to California, not expecting Paradise but hoping only for survival, yet it ends in a positive way as Tom Joad, on the run, promises social justice on the road ahead. “The Bikes of Wrath” is a recounting of the story of the Dust Bowl migrants but it is not a re-enactment. The charming and scruffy Australians pose no perceived threat to any community through which they travel and they have lives to return to, with jobs and comfortable beds. They are not desperate but do draw attention to the way migrants are perceived in America in 2015, and even more so today. If they had been Honduran women pushing baby carriages would they have been treated in the same way? If they had not had health insurance or credit cards would they have received the medical care for a fracture arm they received? 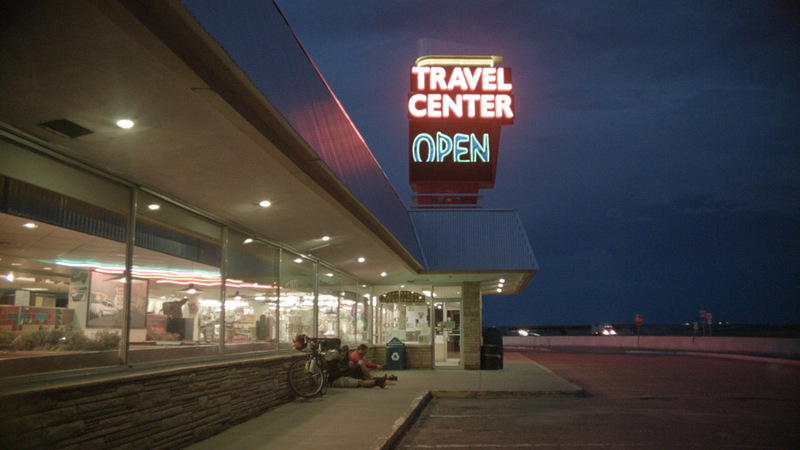 This film is not about a happy holiday or great athletic achievement or overcoming insurmountable odds but uses the bicycle to take a closer look at an America you seldom hear about. When not thinking about Grandpa Joad's “soothin' syrup”, Leslie Reissner may be found being literary at www.tindonkey.com.